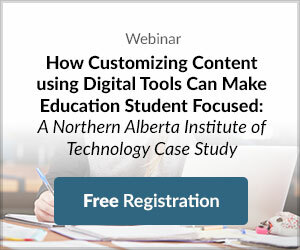 Attendees of this webcast will discover how digital learning tools can enhance the educational experience for both instructors and students, and how NAIT is using technology to transform the way they develop and administer content at the school. To view a recording of the webcast, click here . To download the slide deck, click here .